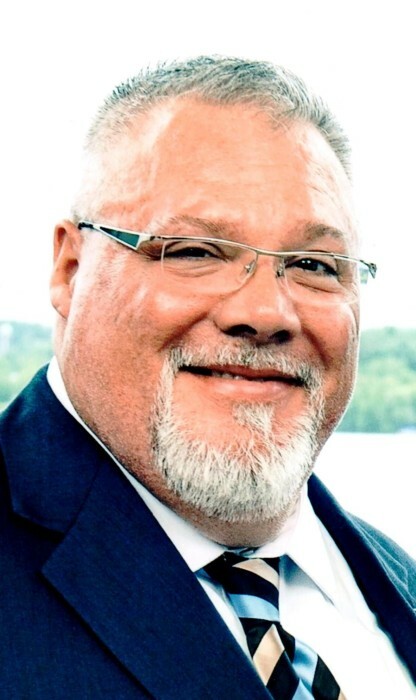 Obituary for James Paul Morgan | Fleming & Billman Funeral Directors, Inc.
James “Paul” Morgan, age 54, Rome-Rock Creek Rd., Roaming Shores, died Monday evening at his residence with family by his side. Paul was recently diagnosed with cancer. He was born December 5, 1963 in Abilene, TX, the son of James & Linda (Gill) Morgan and has lived in this area the past four years, coming from the Youngstown/Warren area. Paul was a graduate of Warren G. Harding High School and was a veteran of the U. S. Air Force and attended the Art Institute of Pittsburg. He was employed with Mohawk Fine Papers. Paul was also a graphic designer by trade and did independent projects. Paul attended the Eagleville Bible Church, was a train and model railroad enthusiast and when the children were growing up was involved with the Warren JFK Goal Liners and the Niles Little Red Dragons Youth Football program. Paul enjoyed theatre and has performed in the “The Nutcracker” and worked with the Ballet Theatre of Ohio, Great Lakes Festival Ballet and Penn-Ohio Ballet. Survivors include his wife, Denise; three children, Tarra A. (Bryan) Joseph & James M. (Sarah) Morgan, both of Liberty Twp. & Christopher A. Morgan, serving with the U. S. Army in Ft. Drum, NY; a brother, David M. (Katrina) Morgan of Magnolia, TX and three sisters, Stephanie L. (Tracy) Black of Creedmoor, NC, Christina M. (Eric) Irwin of Levittsburg & Karin D. Wilcox of Delray Beach, FL. His father preceded him in death. Memorial services will be Friday at 11:00 AM at Eagleville Bible Church, 1981 St. Rt. 45, Rock Creek with Pastor Bill McMinn officiating. Calling hours will be held Thursday from 5-7 PM at the Jefferson Home of Fleming & Billman Funeral Directors and Crematory, 49 W. Jefferson St., Jefferson. Geneva Post #6846 of the VFW will render military honors Thursday at 4:45 PM. In lieu of flowers, the family requests memorial contributions be directed to the USO, P. O. Box 96860, Washington, DC 20077 or at uso.org. The Fleming & Billman Funeral homes and staff are honored to serve the Paul Morgan family. Express condolences, view obituary or light a candle at fleming-billman.com.